Oliverio F. Vega, 83, of Barnegat passed Monday, February 4, 2019. 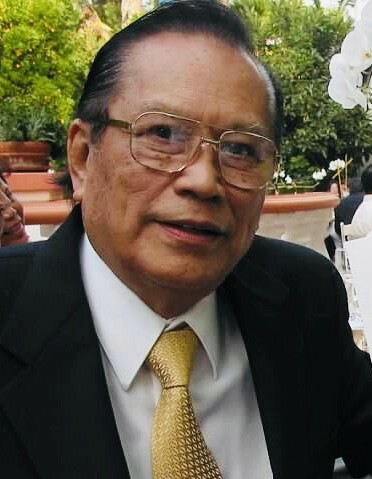 Born in Balingasag, Philippines to his late parents, Judge Leopoldo Vega and Patrocenio Vega, he earned his medical degree and emigrated to the United States in 1968, where he settled in Chicago, IL and worked for Swedish Covenant Hospital. He later went into private practice specializing in internal medicine and ultimately became Chief of the Pulmonary Department at the US Veterans Administration Hospital in Bath, NY, where he lived for 27 years before retiring to Clifton, NJ and then Barnegat. Predeceased by two brothers and a sister, Boanerges and Garcilaso Vega, Maristella Ceballos; he is survived by his beloved wife of 50 years, Aurora Cecilia (Alfelor) Vega; his three loving children and their spouses, Veracelle Vega-Hansen and Christopher Hansen, Amerie L. Vega and fiancé Sean Satin, Oliverio A. Vega, Jr. and Marie L. Leth; three cherished grandchildren, Declan Oliver, Olivia and Owen Hansen. Viewing Sunday, February 10, 2019 from 12 to 3 PM at Barnegat Funeral Home, 841 W. Bay Ave., Barnegat. Mass offered Monday, 10 AM at St. Mary’s Church, Barnegat. Private cremation to follow.